Many thousands of pounds have been raised for Mvumi by individuals and groups undertaking a wide range of fundraising projects and events. We thank all those who have generously contributed so much time and effort. Please let us know if you would like to support a project which raising funds for the school. Justgiving and MyDonate make it easy to raise money online: you can create a fundraising page for the Mvumi School Trust in minutes. Fundraising pages are just like paper sponsorship forms, except they’re online, so you don’t have to traipse around collecting cash and cheques. Simply personalise your page with a photo and message and email the web address to all your contacts. Friends, family, work colleagues and anyone else, from anywhere in the world, can then make a donation using your page. The only limit is your imagination. Best of all it's free of charge. If you have any questions, or need any help, you can contact the helpdesk. If you are considering raising money for the school, please contact Roderick Watson so that the Trust can help to publicise your event on this site and elsewhere. 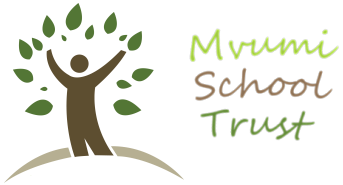 And please always include a link back to our site (http://mvumischooltrust.org.uk) whenever you can: in a blog, in an email or mention it on the radio - it really helps! An example of the kind of project supporters of Mvumi have undertaken is the half marathon run by Alice Chitty and Georgia Stevenson (pictured above) to raise funds for the school. 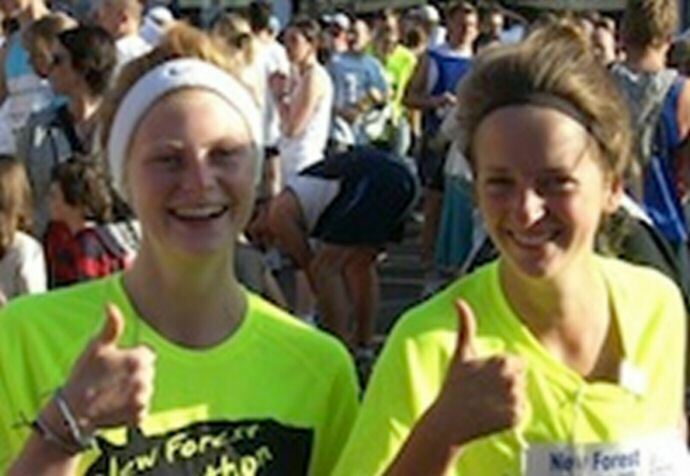 Alice (right) and Georgia (left) completed the New Forest half marathon and donated their sponsorship money to Mvumi, ahead of their visit to the school as gap year students. Alice explained that their decision to go to the school came when she visited this website and realised how much the school depends on financial support to provide students with its high standards of education.